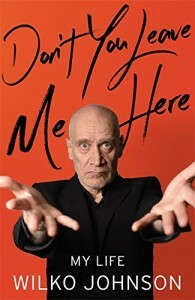 The New Statesman have included Wilko’s upcoming book ‘Don’t You Leave Me Here’ (Little, Brown) in their list of books to look out for this year. The book is due out in May. Click here for more info! Kate Mossman recently interviewed Wilko for the New Statesman’s Christmas Special. Check out the feature here! Game Of Thrones news source ‘Winter Is Coming’ has published a nice little feature on Wilko Johnson, featuring a video clip from his recent appearance at QA Live. Just in time for Christmas! Julien Temple’s marvellous documentary film ‘The Ecstasy Of Wilko Johnson’ is released on DVD on December 19th by Cadiz Music. This very special package includes surreal and thought-provoking artwork from Jonny Halifax – who designed the award-winning poster for the film – and dark fairytale sleeve notes by biographer Zoë Howe. We have had so many lovely messages for Wilko as a result of the film, particularly after its transmission on BBC 1 this month. It’s clear that Julien’s film and Wilko’s incredible story has touched so many people, which is wonderful. 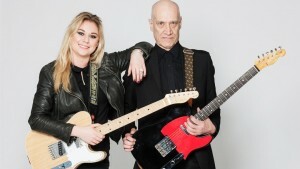 Wilko has announced a UK headline tour, with blues artist Joanne Shaw Taylor in support, taking place in April 2016. The tour will mark his first headline shows since his electrifying appearance at Shepherds Bush Empire with Roger Daltrey in 2014, and his life-saving surgery. Tickets go on sale on Wednesday December 16th, but Planet Rock are selling tickets in advance of this! Get in quick. Julien Temple’s film “The Ecstasy of Wilko Johnson” is in Mark Kermode’s list of the ten best films of 2015 in The Guardian. 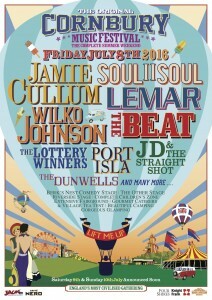 Wilko Johnson Band to return to Cornbury Festival! 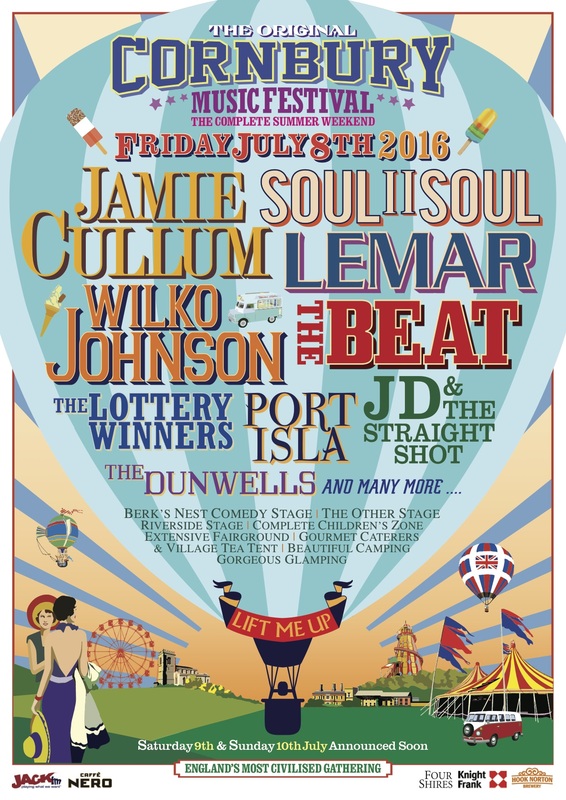 It was announced today that Wilko Johnson and his band will return to Cornbury Music Festival on Friday July 8th 2016 as part of a splendid line-up that includes The Beat, Soul II Soul, Jamie Cullum and many more. Cornbury is a significant festival for Wilko, as it was here that Wilko first met the cancer doctor Charlie Chan, who famously urged Wilko to get a second opinion regarding his pancreatic cancer diagnosis, connecting him with the surgeon Emmanuel Huguet who performed a life-saving operation on Wilko. So this will be a special show indeed! Find out more information about the festival, tickets etc here. Welcome to the new Wilko Johnson site! Well, we have a handsome new website! We’ll be adding lots of exciting things – songs, videos, pictures and so on – over time. We hope you enjoy it and in the meantime, the Wilko Johnson Band team would like to thank you for your continued support. Very best wishes to you all! Julien Temple’s extraordinary documentary ‘The Ecstasy Of Wilko Johnson’ was screened on BBC 1 as part of the ‘Imagine…’ series on November 24th. You can still catch it on the BBC iPlayer here, available until Christmas Eve. And, what with Christmas coming up, if you’re after a DVD for that special person in your life, you can order one here! It’s a beautiful item and comes complete with surreal artwork by Jonny Halifax (who designed the award-winning film poster for the ‘The Ecstasy Of Wilko Johnson’) and rock ‘n’ roll fairytale sleeve notes by Wilko Johnson / Lee Brilleaux biographer Zoë Howe. Check out the film trailer for ‘The Ecstasy Of Wilko Johnson’ below. Look out for Wilko in the Reader’s Digest! The November issue of Reader’s Digest is out now, and features a great ‘I Remember’ Q&A with Wilko, conducted by Amanda Riley-Jones. Lots of lovely images from the ‘Looking Back At Me’ book in there too.